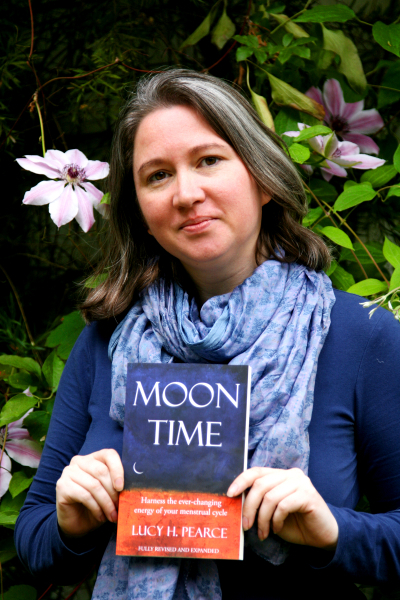 Moon Time, 2nd Edition is Out. A Book to Read! Read the whole post here and grab your copy & your FREE gifts from the author, Lucy Pearce. We Walk Through the Darkness with Grace. With the Natural Beauty of Themselves. Period Power, Menstrual Magic, Womb Wisdom! Women's power rests in our ability to create. We create when we conceive and birth children. This same amazing energy gives us the ability to create ideas and birth them to fruition. 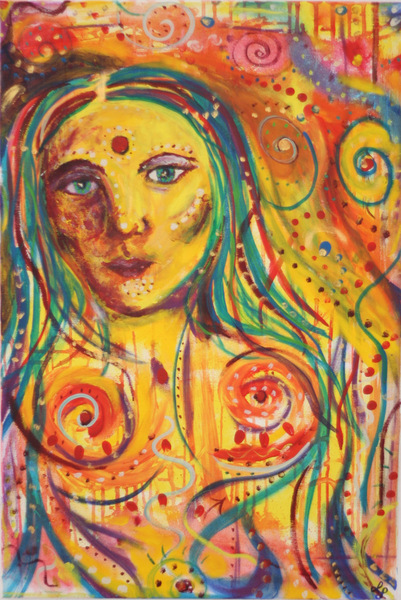 Women hold this feminine creative power (intuition, creativity, wisdom) in their menstrual / period cycle. The wisdom of our heads and our lives are mirrored in our womb; the wisdom of our womb is mirrored in our heads. It is a menstrual magic thing! Learning (re-learning, as this wisdom was always a part of female's heritage) the wisdom around our monthly menstrual cycle is very empowering. We can harness the specific creative power of where we are in our menstrual cycle to enhance our daily and monthly "tasks" and to plan self-care. Healing the female you are is enhanced when this Moon Cycle Wisdom is re-learned. The concept of living from the space of your menstrual cycle is ancient. Women are primarily cyclical beings. (Men are primarily linear beings. There is a balance in both genders... it is the Yin/Yang thing, the hot/cold, wet/dry, light/dark thing. Nature IS balanced, when left to her own graces, in everything.) Women gathered in moon lodges and shared the beauty and power of being female. I invite you to re-learn this wisdom as part of your personal healing path. Join me for the Female ♀ Moon Cycle Wisdom Training and reawaken your wisdom. You will heal in your heart, your spirit, and your mind-body. I promise you that you will be glad you did! On Thursday, April 16th, I will turn 50 years old! To celebrate my wisdom and gratitude for 50 fabulous years on this healing path I am giving 5 scholarships to my Female ♀ Moon Cycle Wisdom Training course for 50 bucks. This is to celebrate the 5 decades of my life. I am throwing in scholarship # 6 for 50 bucks to celebrate the 6th decade I am walking into. UPDATE: Course Tuition Held at $50 Bucks for 2015 Only!